(Reuters) - The Trump administration on Thursday proposed changes to key provisions of the U.S. Endangered Species Act in a move it said would streamline the law but which conservation groups slammed as an assault on wildlife protections. Under the proposed revisions https://bit.ly/2uxya4u, the administration would end a practice that automatically conveys the same protections for threatened species as for endangered species, and would strike language that guides officials to ignore economic impacts of how animals should be safeguarded. Threatened species are defined as those at risk of becoming endangered. The 1970s-era Endangered Species Act is credited with bringing back from the brink of extinction species such as bald eagles, gray whales and grizzly bears, but the law has long been a source of frustration for drillers, miners and other industries. New species listings can put vast areas of territory off limits to development. "ESA implementation was not consistent and often times very confusing to navigate," Fish and Wildlife Service Principal Deputy Director Greg Sheehan said in a statement, explaining the changes. Conservation groups, however, called the moves a handout to big business. 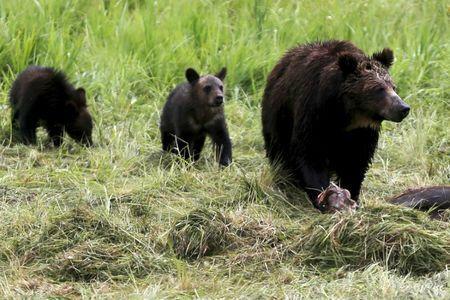 “These proposals would slam a wrecking ball into the most crucial protections for our most endangered wildlife,” Brett Hartl, government affairs director at the Center for Biological Diversity, said in a statement. The proposed changes also include evaluating a species' critical habitat initially only in places where it currently lives, rather than including areas where it could be expected to live if its population recovered. "These rules will be very protective and enhance the conservation of the species," Interior Department Deputy Secretary David Bernhardt said on a conference call with reporters about the changes. "At the same time we hope that they ameliorate some of the unnecessary burden, conflict and uncertainty that is within our current regulatory structure," he said. The U.S. Departments of Interior and Commerce worked jointly to develop the new rules as part of President Donald Trump's push for federal agencies to streamline regulatory processes. The USFW Service falls under the Interior Department.